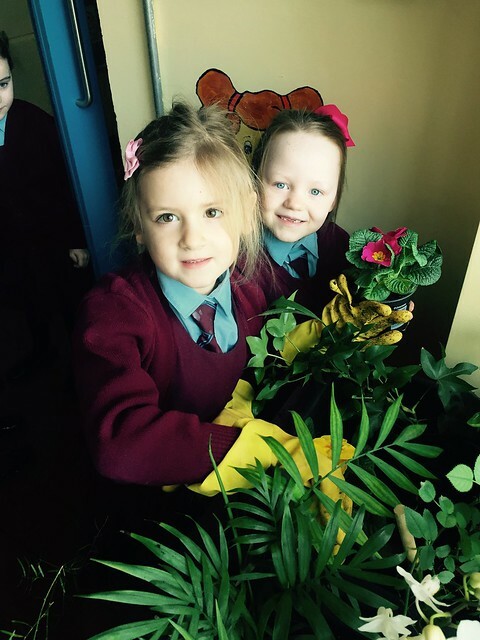 Some of the Junior Infant-2nd class pupils had lots of fun on Wednesday morning indoor planting with Ms.Diffley. Our two planters near our entrance door were in much need of some colour so we added some lovely pink, yellow, white and purple plants to them. The girls did a great job planting!